Able Seaman William Edward Knowles became one of the first New Zealanders to die in the First World War as a result of enemy action, following an ambush by Ottoman forces outside Alexandretta (İskenderun) on 8 February 1915. The New Zealand Expeditionary Force had suffered its first combat-related death just three days before, when Private William Ham succumbed to wounds received during an Ottoman raid on the Suez Canal on 3 February. The first New Zealander to die on naval active service was Able Seaman John Reardon, who was lost when the Royal Australian Navy submarine AE1 disappeared while on patrol near New Guinea in September 1914. 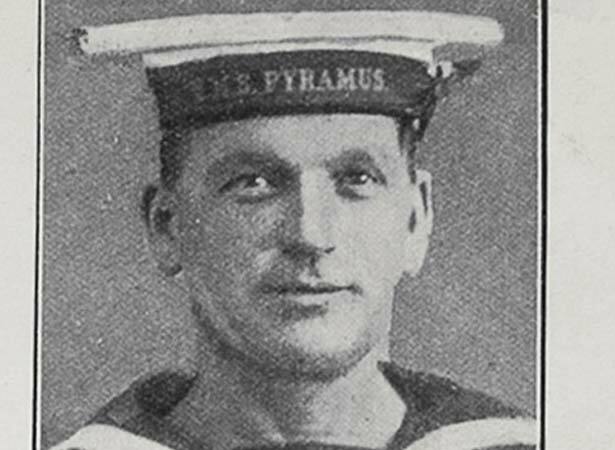 Knowles, a 38-year-old naval reservist from Lyttelton, was serving on New Zealand’s first warship, HMS Philomel, as it patrolled the eastern Mediterranean Sea in early 1915. At 4 p.m. on 8 February a landing party consisting of Knowles, 14 other ratings and two officers was sent ashore to intercept a mule caravan heading towards Alexandretta. Once it had landed and moved inland, the landing party was fired upon by an Ottoman force of approximately 100 men who were waiting in ambush. In the ensuing skirmish Knowles was badly wounded in the abdomen. The landing party retreated back to the shore under covering fire from the Philomel, which sent more than 100 shells onto the Ottoman positions. During the retreat Able Seaman William Stanbury, an Englishman, was killed outright by Turkish rifle fire as he attempted to carry the wounded Knowles. The party took cover in a dry riverbed close to the shore until nightfall and then moved off under cover of darkness. Knowles died of his wounds on board Philomel at 12.55 a.m. that night and was later buried at sea. Able Seaman John Moreton, another New Zealand naval rating, died a few days later from wounds he too had received in the 8 February skirmish. We have 21 biographies, 40 articles, related to Turkish ambush kills New Zealand seaman.